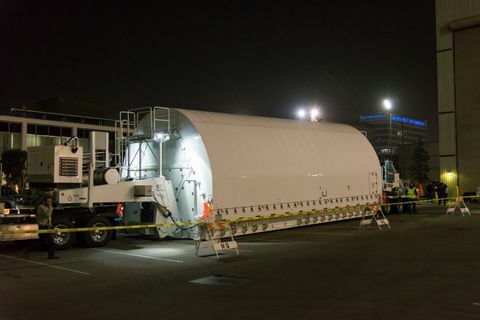 The Space Telescope Transporter for Air, Road and Sea (STTARS) container enclosed with NASA’s James Webb Space Telescope’s Optical Telescope and Integrated Science instrument module (OTIS) arriving at Northrop Grumman Redondo Beach, CA facilities on Friday, February 2. The optical telescope and integrated science instrument module (OTIS) of Webb arrived at Northrop Grumman on Friday, Feb. 2. It was previously at NASA’s Johnson Space Center in Houston, where it successfully completed cryogenic testing. In preparation for leaving Johnson, OTIS was placed inside a specially designed shipping container called the Space Telescope Transporter for Air, Road and Sea. The container was then loaded onto a U.S. military C-5 Charlie aircraft at Ellington Field Joint Reserve Base, just outside of Johnson. From there, OTIS took an overnight flight to Los Angeles International Airport (LAX). Upon its arrival, OTIS was driven from LAX to Northrop Grumman. OTIS and the spacecraft element, which is Webb’s combined sunshield and spacecraft bus, now both call Northrop Grumman home. 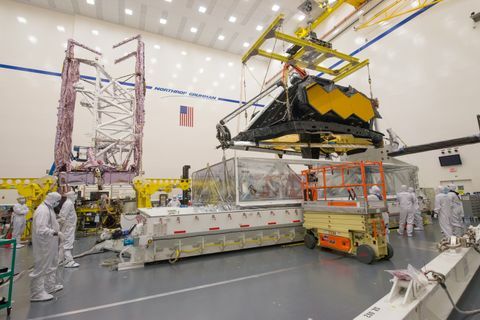 During the summer, OTIS will receive additional testing before being combined with the spacecraft element to form the complete James Webb Space Telescope observatory. Once the telescope is fully integrated, the entire observatory will undergo more tests during what is called observatory-level testing. Webb is scheduled to launch from Kourou, French Guiana, in 2019. 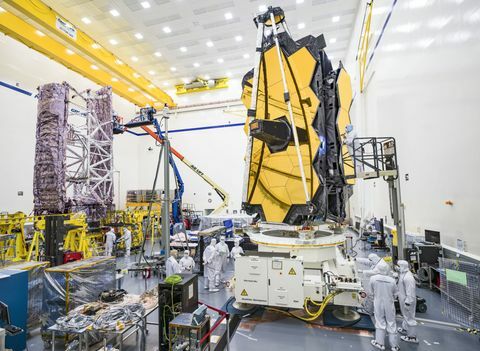 The James Webb Space Telescope is the world’s premier space observatory of the next decade. 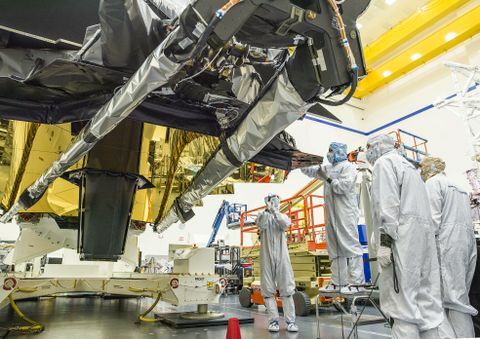 Webb will solve mysteries of our solar system, look beyond to distant worlds around other stars, and probe the mysterious structures and origins of our universe and our place in it. Webb is an international program led by NASA with its partners, the European Space Agency and the Canadian Space Agency.